Sadly, no matter what God does or says, there are certain people whose hearts are so hard to Him that they will never turn and believe. The root source of such hardness of heart can come from many places: prideful arrogance, greed, lust for vain pursuits. The question and statement at face value sounds like a genuine desire to know Jesus. But as we read deeper into the text we find out He already has told them plainly, and yet they did not believe. By the time we reach the end of John chapter 10, the same questioners are picking up stones to stone Him for blasphemy. Yet in spite of those who do not believe, there are also sheep who hear His voice. They recognize the Good Shepherd. They know that the Good Shepherd would lead them through the valley of the shadow of death to still waters that revive the soul. The difference between those who reject Jesus and those who hear His voice really truly comes down to matters of the heart. For the hardhearted, no amount of logical reasoning or displays of the power of God will convince them to give their lives to Jesus. But those who are the sheep of the Good Shepherd need only to hear His voice, and they respond by faith. Soften your heart and open your ears to the sound of the Shepherd’s voice. Prayer: Heavenly Father, you have promised that those who hear the voice of the Good Shepherd and follow Him will never perish but receive eternal life. Speak to my heart, guide me, open my life to receive the abundant life that you promise to those who follow the voice of the Shepherd. In the name of your Son our Lord, Jesus Christ, Amen. This post originally appeared on The Bible Challenge here. Continuous mutual love (brotherly love, Gk. phil-adelphia) anchors the heart in the life of Christ. He sacrificed for us as his brothers and sisters (Hebrews 2:11-12) therefore our continual sacrifice is to offer our lives and love to one another as the family of God. Our mutual love is an aspect of the “unshakable kingdom” which we are inheriting. As Paul reminded in 1 Corinthians 13, love is one of the three things that will “remain” after all else comes to an end. At the last hour, the only thing that will matter is our abiding relationship with God and one another. All else is secondary. Our love for one another is eternal; it continues forever; it never ends. There is a tension between the life of holiness and the life of love. They are not mutually exclusive; in fact, they are two sides of the same coin. To “be holy” means to “be set apart”. Does that mean that hospitality to outsiders goes out the window? Are the boundaries to be set so strongly that the Christian should not even associate with strangers or non-believers? Xenophobia is the fear of the stranger. Often an “inside group” can be very concerned about an “outside” group or person. Their cultures and customs are often strange and perceived as a threat to identity and purity. Quite the contrary, once we are secure in our own relationship to God through Jesus Christ, our identity in him and our manner of life, we can freely relate to the stranger with love (love for the stranger, Gk. philo-xenia). The call is to love and welcome the stranger with a posture of hospitality and grace. Inside the community of the church, the people of God are called to be holy in their relationships. However, we are to maintain a loving holiness that extends out beyond itself. In Jesus Christ, xenophobia is transfigured into philoxenia. When we are focused on our own familiar relationships, it can be very easy to forget to look around and show care to the new person or the unknown visitor in our midst. 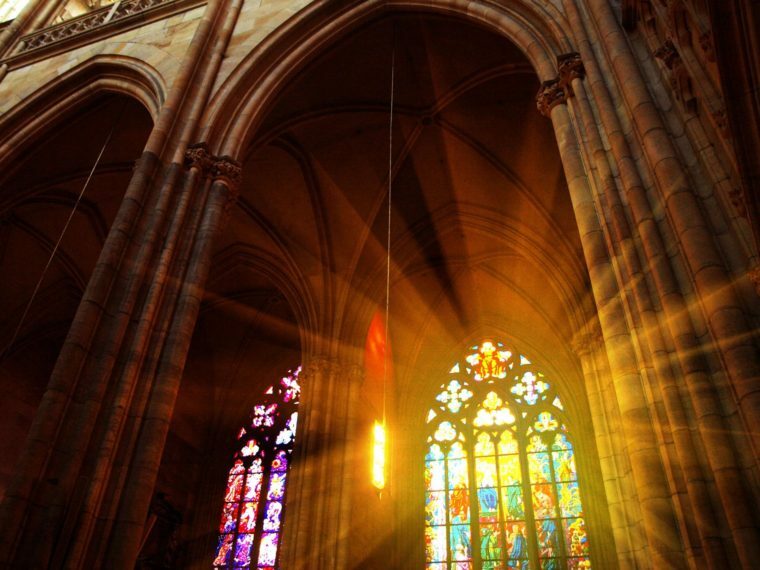 As a pastor, I find it heartbreaking to hear from new members to the church how they visited other churches (or even ours sometimes) and no one said a word to them. They walked in and they walked out without so much as a greeting or any attempt to welcome. How do we perceive the stranger in the midst of our assemblies? What does it feel like to be the lone outsider with a group of insiders–can you relate? The call to show hospitality runs deep in the story of Israel. Abraham is blessed by welcoming three strangers who turned out to be messengers of good news who spoke prophetically as the angels of the Lord. The strangers and visitors in our midst may very well have been sent by God to bring some missing spiritual gift or to provide for a need where there is lacking. At one time, Jesus came as a stranger to this world, and those “who received him, who believed in his name, he gave the right to become children of God” (John 1:12). Do Christians have a unique role to play with respect to immigrants and foreigners in our country? If we are to not forget to show love to the stranger in our midst, we are to always remember to show love to Christian brothers and sisters out of our presence trapped in prison. In the days of the early church, one could become imprisoned for simply being a believer in Jesus Christ. Just as we see in parts of the middle east today. Christians were persecuted and mistreated for their insistence on singular personal allegiance to Jesus Christ. Many today are trapped in the persecuting prison of their own country, and they would seek refuge if they could. The preacher exhorts that even though our Christian brothers and sisters are away from us, they are still connected to us as united parts of the body of Christ and the household of God. We must always remember them, pray for them, and if possible, help them. In 2013 the US Bureau of Justice Statistics reported that there 2,220,300 people in state and federal prisons, and county jails. Our character of solidarity with brothers and sisters in Christ who are imprisoned or mistreated by persecution reflects the unity we share in Jesus Christ. He came to us when we were in prison. Jesus is the great liberator. When they are imprisoned, we are with them. When they are mistreated, so are we. We are one. What is your experience of visiting the prisoner? 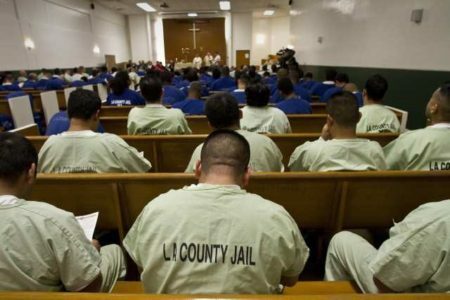 How can the church more effectively care for our brothers and sisters in Christ behind bars? How can we better relate to Christian refugees and those who are persecuted for the Christian faith in other parts of the world? 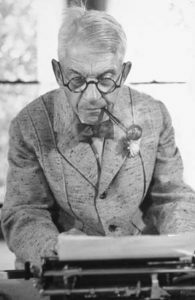 William Phelps taught English literature at Yale for forty-one years until his retirement in 1933. In the Apostle Paul’s letter to the Church in Ephesus, he marvels in what he describes as the “mystery of God’s will”. A mystery is something that “God only knows”. We all love a good mystery. Mysteries have tremendous power; the unknowns keep us engaged and drive us to seek a resolution to the mystery. As in any good mystery, with the big reveal, we learn who did it and how. The story of salvation is in many ways an unfolding mystery. There are certain things that we know and have clues about from God’s revelations to Abraham, Moses, David and the Prophets of the Old Testament. God gave a lot of clues. It was revealed to them that they were serving not themselves but you, in the things that have now been announced to you through those who preached the good news to you by the Holy Spirit sent from heaven, things into which angels long to look (1 Peter 1:12). The people of old knew that God had a plan to save the world. They knew that central to the plan was the nation of Israel, and specifically a Messianic king who would be in the line of King David. But, as Paul writes, there were certain things about the story of salvation that remained hidden in the councils of God until the big moment of revelation. The big reveal is called the Epiphany! First: who? Who will be the Messiah? We now know that Jesus Christ, the incarnate son of God, is the one who will save the world. No one would have expected that a carpenter’s son from Nazareth would amount to much. Yet everything now points to him and his birth, ministry, death and resurrection. The big reveal is that Jesus is the Way, the Truth and the Life, and no one comes to the Father except by him ( John 14:6). How will God save the world? We now know from the big reveal that through the proclamation of the Gospel message about Jesus’ life, death, and resurrection, God will convert the hearts of the people of this world. He will liberate them from the powers of death and darkness, save their souls, and grant them eternal life. As with any epiphany we can be surprised and shocked at the way things turn out. Who could fathom the sheer magnitude of the salvation of God as he converts the people of the world to Jesus? The Lord continues to surprise and amaze! You and I have the tremendous privilege of knowing the big reveal to life’s most intriguing mystery. God has shown us how he will save this sinful and fallen world, and who has accomplished it. This is a revelation that is too important to keep hidden and secret. Our privilege, duty and calling is to make known the mystery of the will of God to a world that desperately needs to see the light of the Gospel. Paul’s final charge to Timothy is to “guard the deposit entrusted to you” (6:20). As a minister of the Gospel, Timothy is being sent into a battle on the front lines for the very Gospel itself. He needs strong encouragement to see the importance of the task and ministry with which he has been entrusted. The need for Paul’s letter was occasioned for two main reasons: geography and time. First, Paul was simply not able to be in more than one place at a time. The delegation of leadership to others was an essential task for Paul if there was to be a geographically broad gospel movement. As Paul traveled on his missionary journeys moving from region to region, city to city, town to town, many new congregations were planted. New leadership had to be developed in each region, city, and town. Coordination and support of those various congregations also became mission-critical for the gospel. The second issue was related to time. Paul was always keenly aware that his days of “fruitful ministry” were numbered. The issue of succession was critically important to Paul as he empowered Timothy to lead and then to identify and empower more leaders for the churches. In this way, we see the first examples of succession and delegation at work in the church in the personal and pastoral relationship between Timothy and Paul. For Paul, the issue is not merely the passing of a torch humanly speaking, but for him it was critically important that the content and character of the gospel be guarded in order that it may be passed on faithfully to the next generation of leaders. As each generation considers its own faith, it must also keep in mind the needs of the next generation of believers. We are given a sacred trust in the gospel of Jesus Christ, guarding the faith carefully so that it can be passed on. In what ways are you delegating, passing on, and guarding the faith which has been entrusted to you? In the Old Testament, the testimony of the people was to keep covenant and maintain the Temple through faithful worship, offerings, and tithes. They had promised, “We will not neglect the House of our God” (Nehemiah 10:39). In chapter 13, Nehemiah returns to Jerusalem and finds that they have indeed broken their commitment. They were neglecting the house of their God in their stewardship of four critical areas: space, resources, time, and relationships. We often do the same. The first neglect was caused when Eliashab, the priest in charge of the temple chambers, allowed a foreigner to dwell in a room which had a specific purpose for offerings to the Lord. Nehemiah kicked him out and restored the chamber for its godly purpose (13:4-9). In our own lives, are there inappropriate things cluttering up key spaces that should be properly devoted to godly use? A second neglect was caused by a failure to bring the appointed offerings to the Levites, thus forcing them to abandon the service of worship in order to provide for their families (13:10-14). Jesus said, “Where your treasure is there your heart will be also” (Luke 12:34). Our patterns of giving can reveal a neglect of our relationship with God. Practically, when the people of God withhold their tithes and offerings, the worship of our God and the ministry of His Church falls into neglect. A third neglect was caused by buying and selling on the Sabbath (13:15-22). If our time is focused on doing personal work on the Sabbath, then we will not be focused on praising God and His work that day. The Lord calls us to devote one day out of the week to worship and work for Him. Finally, the marriages of Israelites to foreigners were leading the hearts of the people into idolatry and away from God. Paul warned the church about being unequally yoked with unbelievers (2 Cor. 6:14). The friendships, partnerships, and marriages we make can draw us away from the love of God, thus causing neglect of our primary relationship with God. 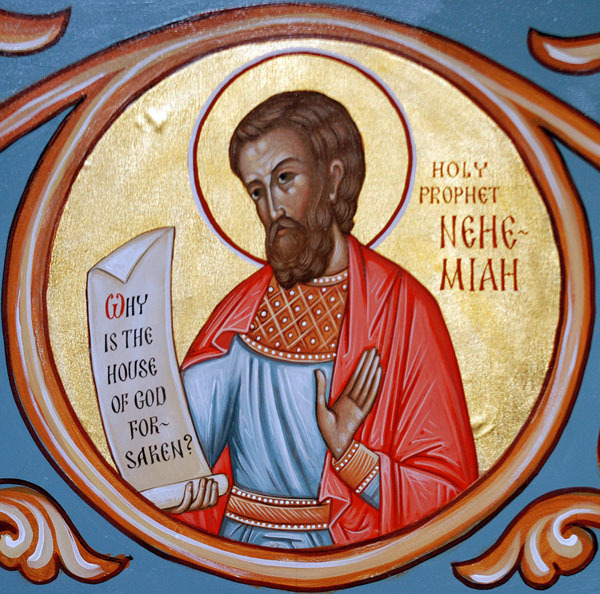 Nehemiah led the people to repentance in all four neglects of space, money, time, and relationships. Is there one or more of these areas in your stewardship that requires reform? Prayer: Lord Jesus, show me any area in my life where I have neglected your house. I repent of my neglect of you with my stewardship of space, money, time, and personal relationships. Please forgive my neglect and restore me to your goodness. Amen.